When you spend days, months, or years working on something, you can’t help but become attached. Fear of everything (it feels that way at least…). This fear can be paralyzing; it makes us not want to ship (and sometimes, it succeeds). Of course, once we ship we realize something impossible to recognize before we ship: these thoughts are simply ways we justify our cowardice. What we’re really saying is: I don’t want to find out if I’m worthy; better to never ship and never find out, than ship and be found wanting. And found wanting of what? It has to be this way; if it wasn’t personal it would lack personality, and art that lacks personality isn’t art. It’s a ruse; a cover-up; a façade…but it’s definitely not art. Every venture of the creative entrepreneur (whether a canvas painting, a business startup, or a paradigm shifting book) is inherently art. For the creative entrepreneur, this statement is an oxymoron; it’s entirely personal BECAUSE it’s business. And they make us feel as if the result has already happened. So if our project might not resonate like we want it to, it hurts now. If people might ignore us in the future, it hurts now. If people might hate us once we ship, it hurts now. Feeling future pain in the present is called anxiety. 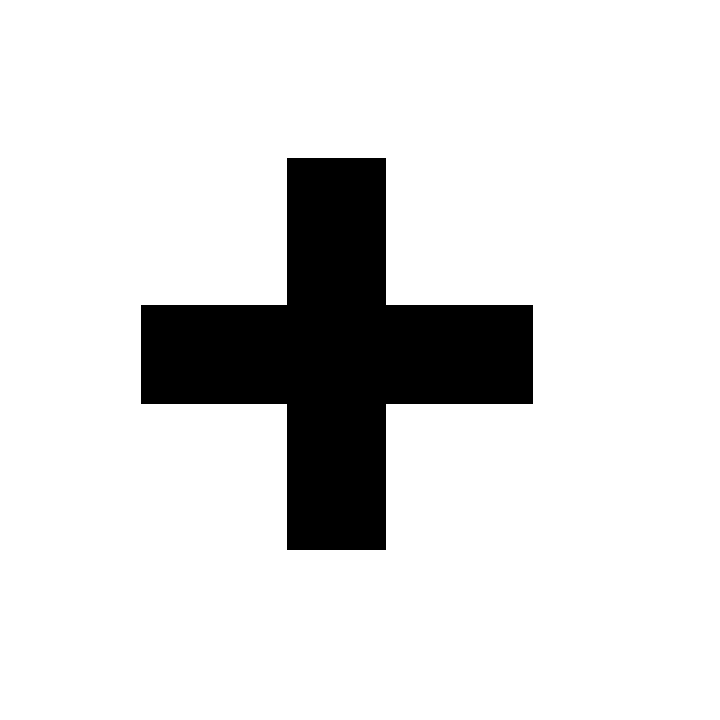 It’s utterly pointless, irrational, and impractical – but that doesn’t make its effect on us any less real. It doesn’t matter if you have a professional edit your book just one more time before shipping – you still won’t think it’s ready. It doesn’t matter if you have more time to make the project perfect – it will never be perfect. It doesn’t matter if everything is set for the perfect launch – you will still find ways to imagine the worst. And so the only solution is to ship. It’s to do something – to complete something – to take something from start to finish and allow others to interact with the final product, no matter how uncomfortable, pained, or scared you feel. And that really is the only solution. 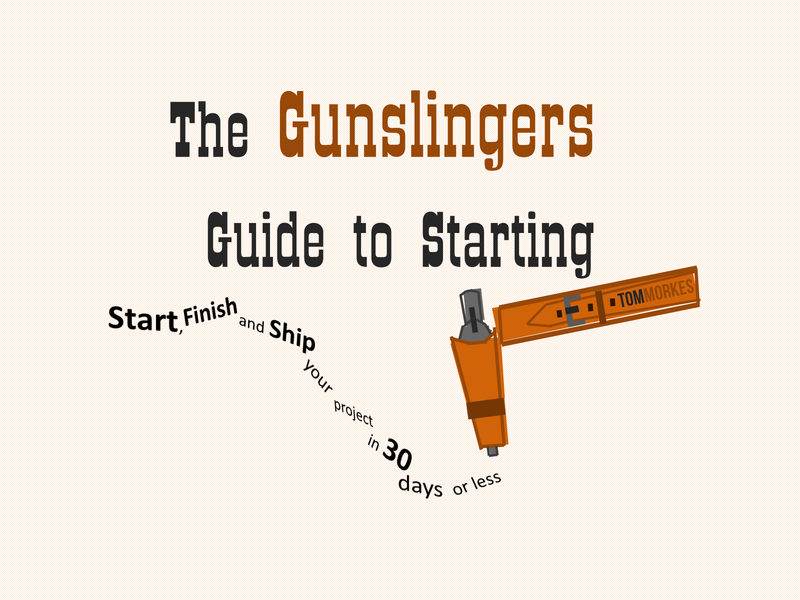 I built a product to help you ship. 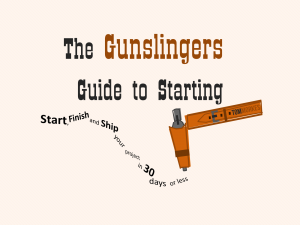 I call it The Gunslinger’s Guide to Starting (and its corresponding workbook: The Gunslinger’s Workbook), and I sincerely believe it will help you start, finish, and ship your project in 30 days or less. It’s nothing mind blowing or even original. You’ve probably read it all before. But it’s not originality that matters – it’s effectiveness. So does it work? Yes, at least for me. And I think it will do the same for you. It’s free and exclusive to Resistance Members. Love the statement about business being personal because it’s business. That’s so true. There’s no fine line, no black and white dichotomy. If it’s something you’re hugely passionate about and want to build a legacy around, it’s deeply personal! And that’s great! We tend to get caught up in the belief that we have to separate our personal and business selves, but who says we have to? We’re one person after all. 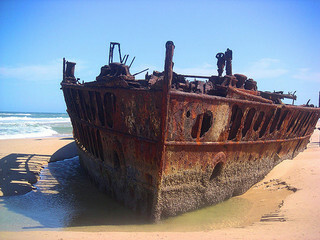 Plus, if we’re passionate about it and want to build that legacy, can we afford NOT to ship? Of course not! Thanks again for the engaging material! Lehua, thanks for taking the time to read and comment! I completely agree about building a legacy – it IS deeply personal. It doesn’t mean everyone needs to create a business this way, of course, but for those who do (the creative entrepreneurs), it’s most definitely personal. Thanks so much, and I hope it continues to be engaging!! 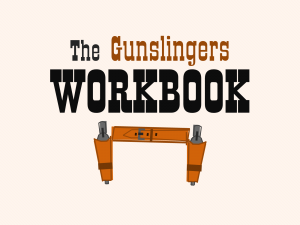 Looking forward to giving you some feedback on the Gunslingers Guide and workbook as well. Thanks for sharing that with us. Great thoughts above as well. The FEAR of shipping is real…especially for those of us who make our living as “creatives”. It’s never easy to hear from someone that your idea “isn’t right for them” or “I’ve heard that one before”. Living as a creative is one of the toughest occupations in the world but we are LIVING. 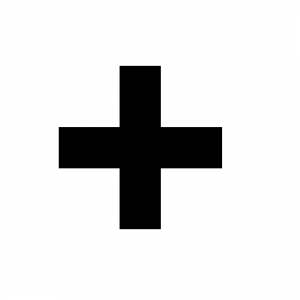 The members of this tribe must remember that we have the blessing (or the curse) of being eternal optimists. We desperately want to succeed and are willing to put our HEARTS and SOULS into our creations. When the FEAR instinct envelops me, I try to remember to do this little exercise. I remove myself from anything related to the current “Creative Space” and ask myself this question. “What’s the worst thing that can happen”. I write down whatever comes into my head in my moleskin journal. The truth is it’s never really that bad. It’s never something that I couldn’t get over or learn from. The truth is that FEAR is just another way of us being and feeling ALIVE. I say don’t be afraid to embrace it once in a while and learn from it. It just might give us a push in the right direction. Awesome stuff Alan! Thanks so much for sharing! It’s true – we can learn from fear every time; and I totally agree with you about fear reminding us we are alive. And that DOES matter (because it means we’re doing important things). Thanks so much for reading and commenting, Alan. 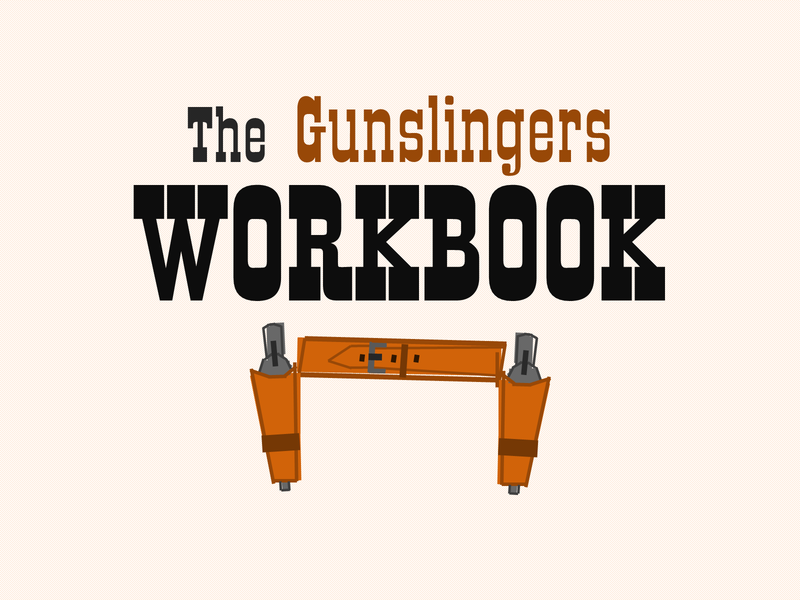 Definitely let me know what you think of the guide and workbook!